The Journal of Health Sciences and Professions is a peer-reviewed journal including health sciences and professional education, practice areas and working to encourage the development and exchange of knowledge in these areas. The primary objective of the journal is to contribute to the development of health sciences (physiotherapy and rehabilitation, health management, social work, nursing-midwifery, audiology and gerontology) and occupation area by providing the national and international information sharing. The journal also allows sharing the new developments applications in their field and information from the different cultures and communities. Scientific original research, articles and reviews covering all areas of the health sciences and professional can be published in the journal. 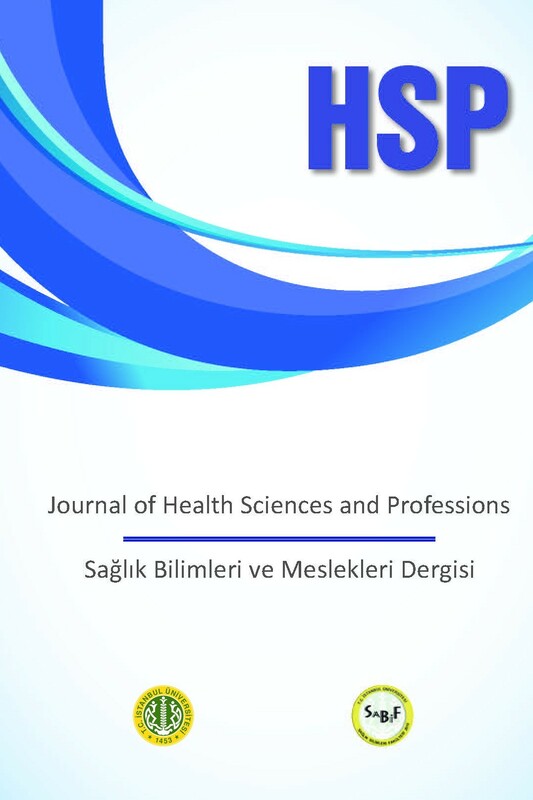 Journal of Health Science and Profession publishes English or Turkish original articles, short communications, case reports and invited or editorial approval reviews on all aspects of health science and profession sciences. Postpartum Kanama Miktarını Tahminde Gerçeğe Ne Kadar Yaklaşıyoruz?